Christmas is a magical time everywhere, but at Disneyland, the enchantment is truly the most spectacular on the Southern California coast. Since 1956 when the first Christmas tree shone brightly on Main Street, U.S.A., Mickey Mouse and his friends have entertained families on a holiday visit through the Magic Kingdom. From early November through early January, the splendor and twinkle never stops delighting people of all ages. Disney’s Anaheim theme parks captivate frequent visitors by adding new attractions to their Christmastime celebrations. New to Disneyland in 2012 is the Jingle Jangle Jamboree with your hosts Santa and Mrs. Claus welcoming visitors to the “West Pole” at Big Thunder Ranch. The fun times there are a highlight for the youngsters. Next, travel on to Adventureland where the riverboat skippers have prepared for the 2013 holiday season by making over the Jungle Cruise into the Jingle Cruise for the enjoyment of the whole family. A joyful wintertime sight is Sleeping Beauty Castle adorned with more than 80,000 glistening icicles and lights casting a remarkable twinkle over the palace’s snow-capped turrets. It is a memorable photo opportunity for any little princess and her royal entourage. A bit farther down into Fantasyland, experience holiday cheer on a global scale at It’s a Small World. Set sail along a wintry waterway festooned in cultural decorations, festive wishes, and holiday music from around the world. At California Adventure, celebrate the holidays with the “World of Color – Winter Dreams” show featuring Olaf, the endearing snowman from the Walt Disney Animation Studios 2013 movie, ”Frozen.” Another colorful celebration that parades through the park is “Viva Navidad” a Christmas festival depicting Latino Christmas holiday traditions. Next, take a stroll through “Cars Land” where Mater in his Santa hat and other residents of Radiator Springs are decked out in fine holiday décor. When a California Disney Christmas is on your family’s holiday agenda, everyone in your group is sure to have a bright and merry season to remember. A spectacular finish to your stay is the “Believe… In Holiday Magic” fireworks display over the castle. The entire Disneyland Resort is magically transformed into a winter wonderland during this enchanting time of year, and you are sure to enjoy celebrating the holidays in grand and sparkling Disney style. 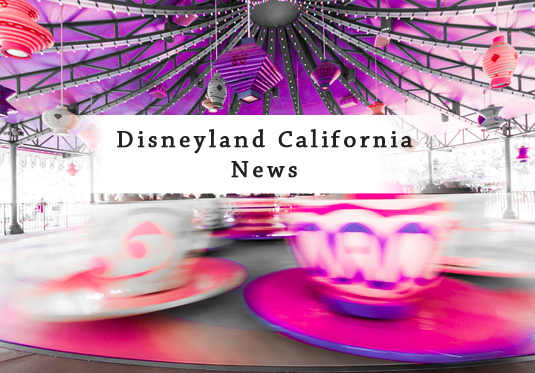 December 4, 2013 in Disneyland, Disneyland News, Disneyland News 2013.